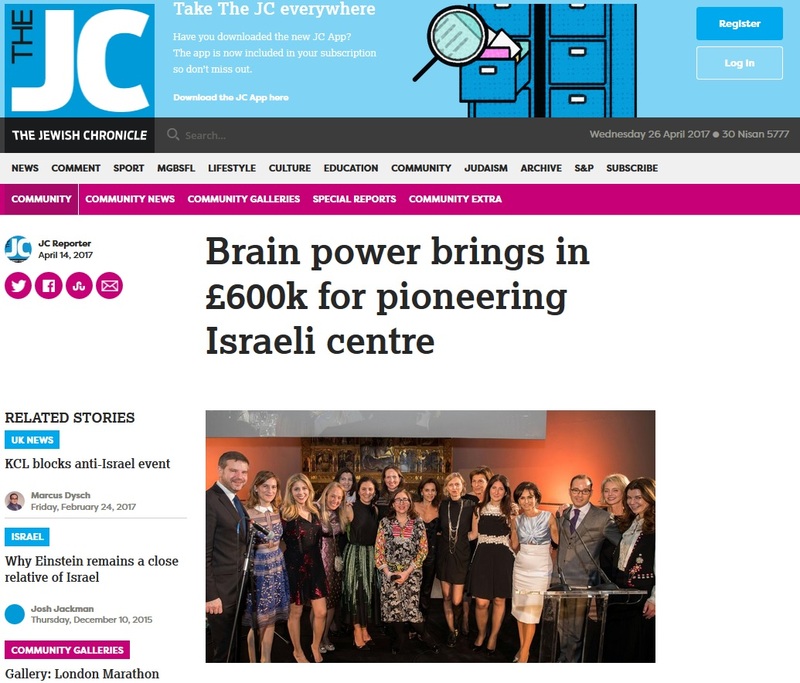 A UK charity supporting the Edmond and Lily Safra Centre for Brain Sciences at Jerusalem’s Hebrew University raised £600,000 from its inaugural dinner at the V&A in Kensington. More than 400 guests heard from Professor Idan Segev, who heads the Lab for Understanding Neurons at the centre. His work is part of the Human Brain Project, a major European undertaking. Muriel Salem, who set up Brain Circle UK, said at least one billion people worldwide are affected by illnesses of the brain. “Any real hope for progress, from cures to prevention, can come only with a comprehensive understanding of brain function.